of Aquatic Biodiversity – Water World 2018. SciFest Africa, South Africa’s annual national science festival, aims to promote the public awareness, understanding and appreciation of science, technology and innovation. 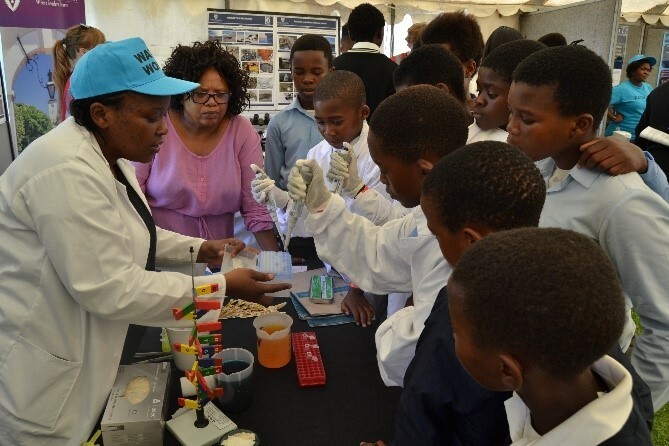 SciFest Africa takes place in Makhanda (Grahamstown), in the Eastern Cape Province, from 6 – 12 March 2019. The theme for this year celebrates the International Year of the Periodic Table of Chemical Elements as proclaimed by the United Nations. SAIAB is an Embedded Nucleus on the EU-funded NUCLEUS Project which seeks to find ways for universities and research institutes to strengthen their links with civil society by making Responsible Research and Innovation (RRI) a reality in their governance and research. For Scifest 2019, as part of its science engagement efforts, SAIAB will partner with the African Coelacanth Ecosystem Programme managed by SAIAB, and the Rhodes University Centre for Biological Control to host Water World which teaches learners about aquatic invertebrates, fish tracking, life on the sea floor and much more. Water World is one of the major platforms through which SAIAB actively integrates science communication and the principles of RRI into its governance and research. SciFest Africa enables SAIAB to realise the ‘Science with and for Society’ objective of RRI. Water World has become a regular feature of Scifest Africa offering space for exciting aquatic related exhibits, excursions and some hands-on experience of what our scientists do in their day-to-day research. SciFest Africa is one of the ways in which SAIAB “redefines the way we talk to communities, so that the conversation is really a conversation” (Penny Haworth, SciCom 100 Conference, 2018). SAIAB does this by encouraging learners to take part in hands-on demonstrations and through telling stories of scientific discoveries such as that of the legendary coelacanth which has kept the world enthralled since 1938. Infographic of the registered number of attendees at Water World 2018. 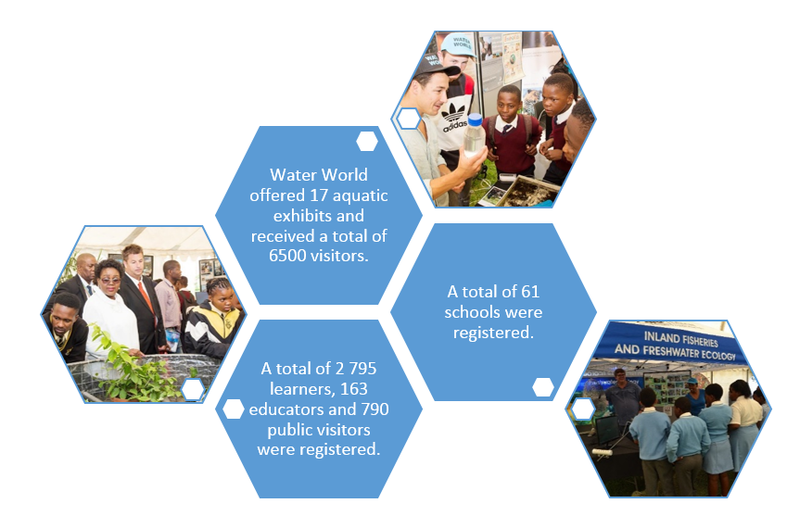 Water World aims once again to provide an amazing opportunity, not only for learners to learn about water and the kinds of research happening in and around water, but also to find out about the variety of careers in this field. SciFest provides a platform for learning, sharing ideas, and bringing fresh and innovative energy into the Institute as well as developing SAIAB‘s team spirit for #LivingRRI.